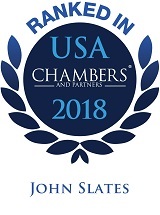 John W. Slates is a founding partner of Slates Harwell LLP. He is Board Certified in Construction Law and focuses his practice on representing owners, developers, and general contractors. John is an accomplished trial lawyer who has first-chaired numerous cases to verdicts, including cases that have been recognized by the National Law Journal’s Top 100 Verdicts and Verdict Search’s Top Texas Verdicts. He has also successfully argued before the Texas Supreme Court in Lennar Corporation v. Markel American Insurance Company. John has negotiated over $5 billion in design and construction contracts for some of the most high-profile projects recently built in North Texas, including the Toyota Corporate Headquarters, as well as a wide array of other commercial, multi-use, and multi-family projects. 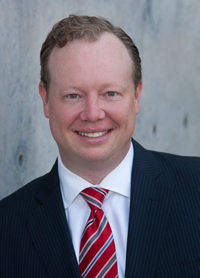 In addition to broad experience with a variety of issues typical to the construction industry, John has extensive experience with products liability issues and disputes related to HUD-insured projects. After graduating from Georgetown University Law Center in 1995, John practiced for 18 years with an Am Law 200 firm, and served as the chair of the firm’s construction practice for six years prior to forming Slates Harwell. In addition to construction litigation, John has also handled environmental litigation and general commercial litigation, including disputes involving land deals, purchase and sale agreements, lease agreements, trade secrets, noncompete provisions, and partnership, shareholder, and business divorce cases. John enjoys cooking, playing golf, and spending time with his wife Paige and their three children at Rough Creek Lodge.